When more than 40,000 people swamped the streets of London and Manchester for the historic Climate March, A Rocha UK workers, volunteers and supporters were among them. 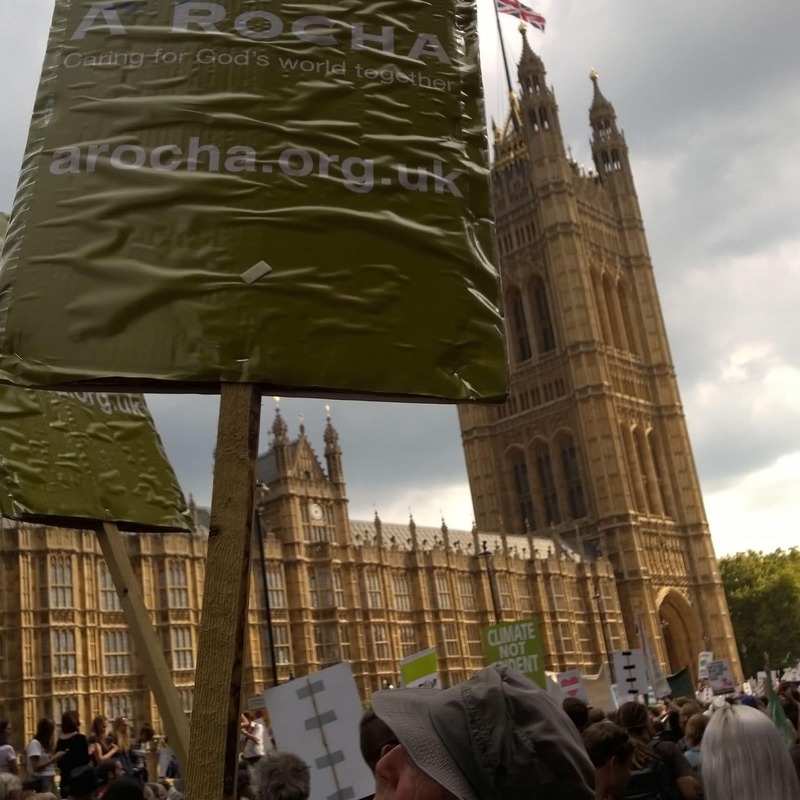 A Rocha UK banners were lifted high as marchers walked from Temple to Westminster on 21st September, urging world leaders to act on climate change. ‘It was just one of 2,700 events happening across 161 countries worldwide,’ said A Rocha UK’s Policy Officer Stephen Drury, ‘and we were proud to be a part of it!’ These mass marches were timed to coincide with the United Nations summit on climate change, which took place the following Tuesday in New York. More than 300,000 took part in that city’s march. ‘It was overwhelmingly encouraging,’ Stephen said of the London march. He met with volunteers from A Rocha UK at a gathering point for faith groups in Inner Temple Gardens. Stephen said there was ‘an expectant atmosphere’ as marchers gathered there. ‘There was a sense of fellowship and friendship as we connected with different organisations,’ he added. 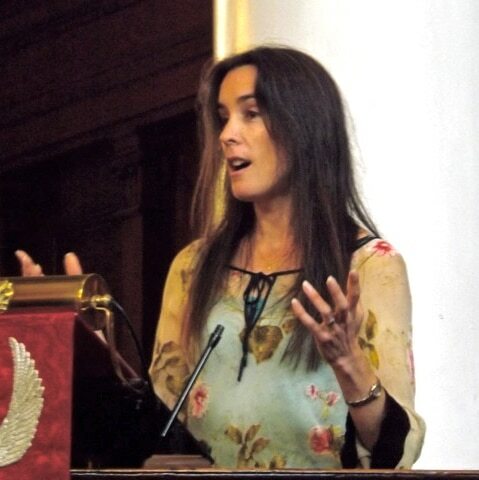 Labour should ‘get noisy again’ about climate change, says A Rocha UK’s Churches and Theology Director Dr Ruth Valerio. She was speaking at the church service that marked the start of this week’s Labour Party conference in Manchester. In their work of restoring God’s earth, A Rocha UK reach out to politicians of all persuasions. While praising the party for past achievements, she urged them to make this issue central to its manifesto. ‘Climate action has to move beyond carbon emissions targets,’ added Ruth.